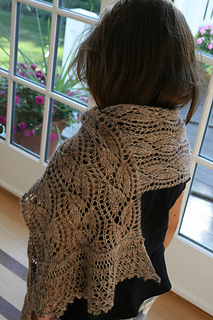 Scarf and shawl are knit from a provisional cast on toward the center of the garment. 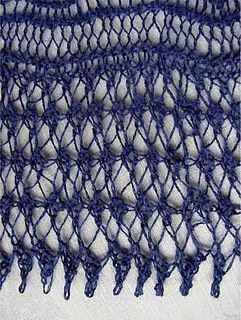 Stitches are left live until the second side is knit, then are grafted to the first side. 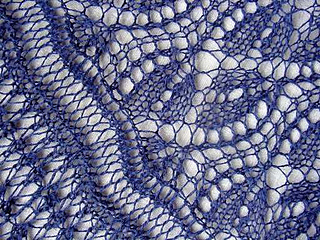 Stitches are then picked up from the provisional cast on, and a border is knit. This is repeated on the second side, and then the two sides are grafted. 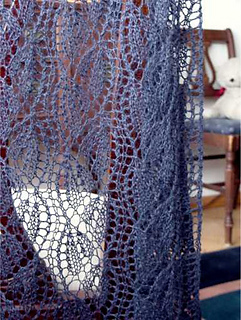 This is an intermediate lace pattern. 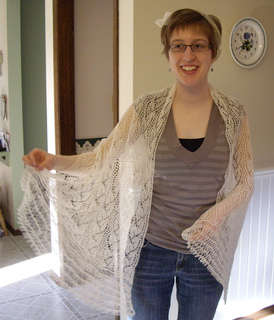 Sizes: The pattern is written for two sizes: a scarf and a stole. 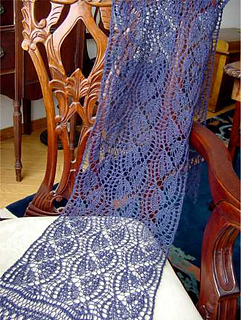 The scarf takes approximately 375 yards of lace weight, and is approximately 9.5 x 57 inches (24 x 145 cm). 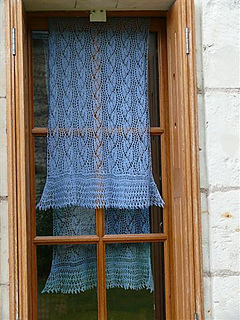 The stole takes about 1,100 yards of lace weight and is approximately 21.5 x 74 inches (54 x 188 cm). 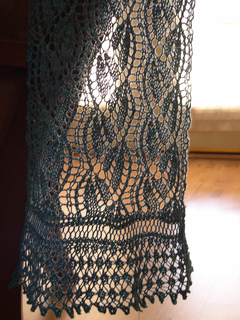 Skills: Lace knitting, applied border, grafting, chart reading. 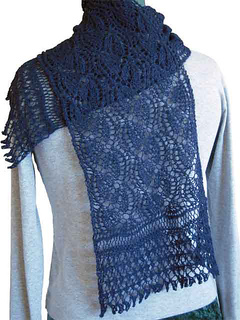 Other supplies: Waste yarn for provisional cast on, and stitch holders are required. 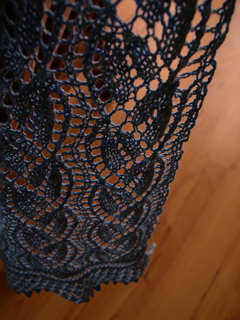 Lifelines and stitch markers are optional. 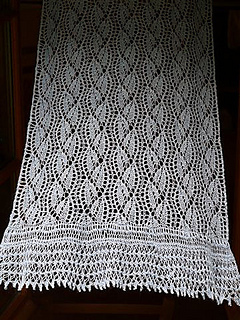 Any size crochet hook can be used that provides a chain stitch large enough to easily get the knitting needle through for the provisional cast on. 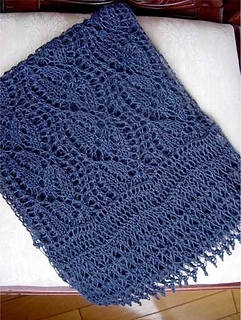 The model scarf was knit with Valley Yarns 2/14 Alpaca Silk in Navy. 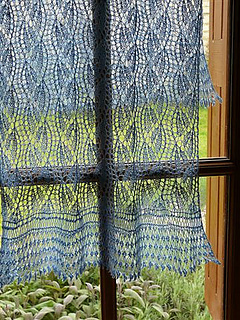 The model stole was knit by Kathryn with Zephyr Wool-Silk in Ice Blue.